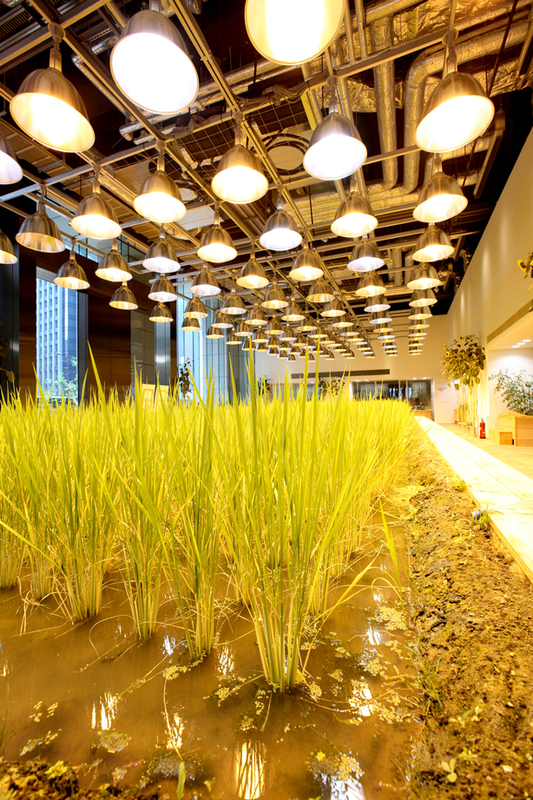 Mirai urban plant factory. Via Mirai. 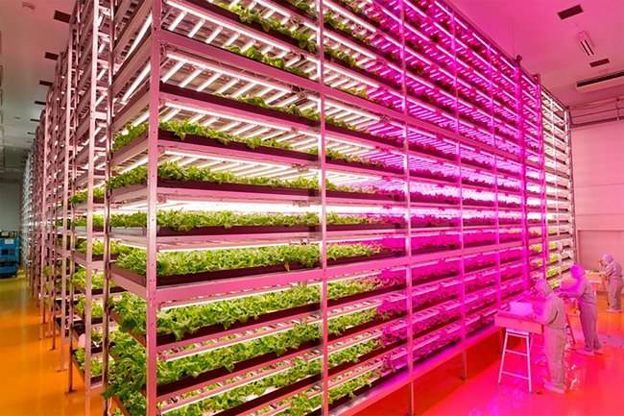 What claims to be the world’s largest indoor vertical farm will soon begin production in Newark, New Jersey. Once it is fully operating, the 69,000-square-foot AeroFarms headquarters is slated produce up to 2 million pounds of vegetables and herbs a year. 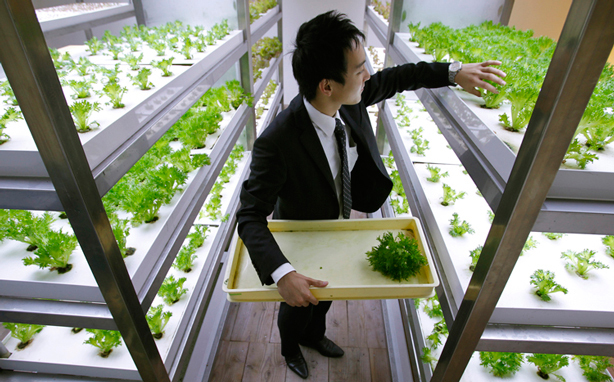 In what used to be the vault of a major bank, there is a 10, 764 square foot underground urban farm–a hydroponic vegetable field and a rice paddy in the basement of a nine story, 215,000 square foot office building in Tokyo’s central business district. Pasona Urban Farm. Via Pasona. 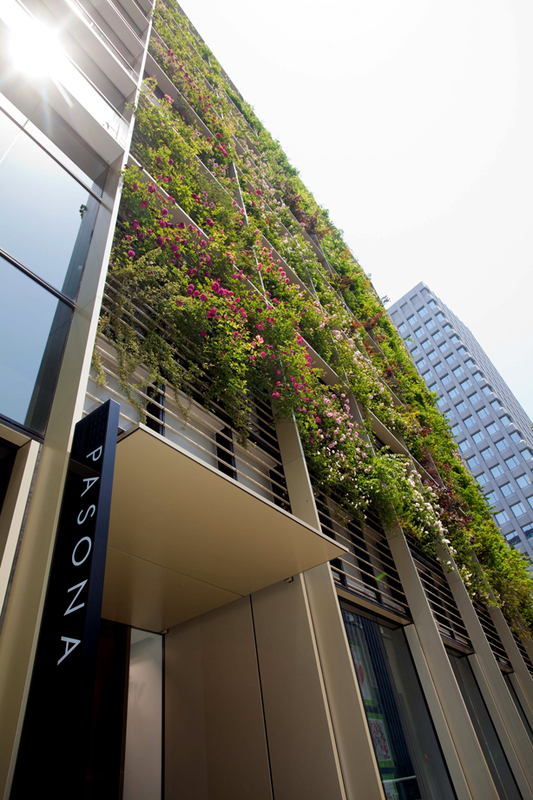 Built in 2010, Pasona O2 was the first of these “plant factories” located inside a building in the middle of an urban center. 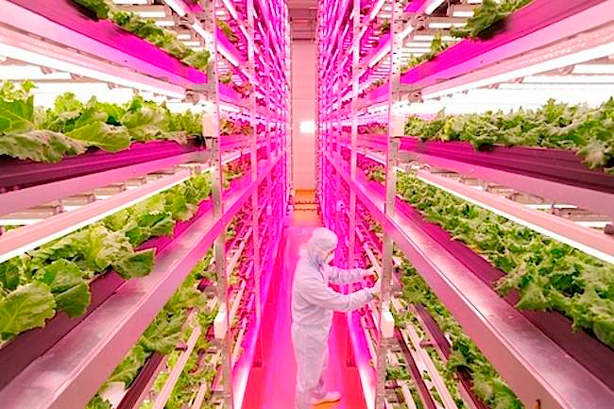 Since then, Shigeharu Shimamura, a plant physiologist and CEO of Mirai, has transformed an abandoned Sony factory in Miyagi Prefecture, Japan, into the what was the world’s largest indoor farm before the AeroFarms project—a 25,000 square foot indoor farm illuminated by 17,500 LED lights. The farm harvests about 10,000 heads of lettuce a day. But that’s just the tip of the Iceberg. 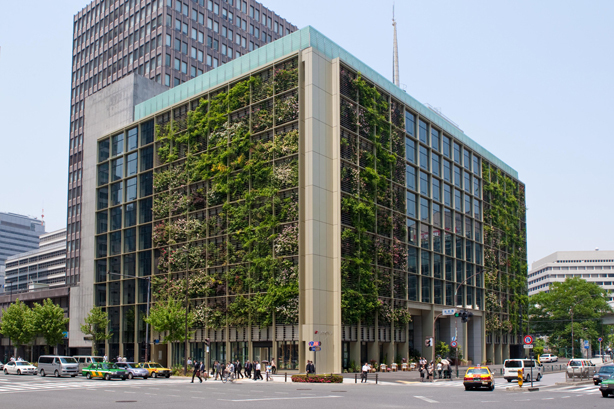 According to the Japanese Ministry of Economy, Trade, and Industry, Japan currently has about 211 computer-operated plant factories–hydroponic and aeroponic farms growing food in closed environments without the utilization of sunlight. These farms produce 100 times more per square foot than traditional methods using 40% less power, 99% less water usage, and 80% less food waste than traditional agriculture. As self-sustaining urban-based food systems, they also produce fewer food miles and a lower carbon footprint. 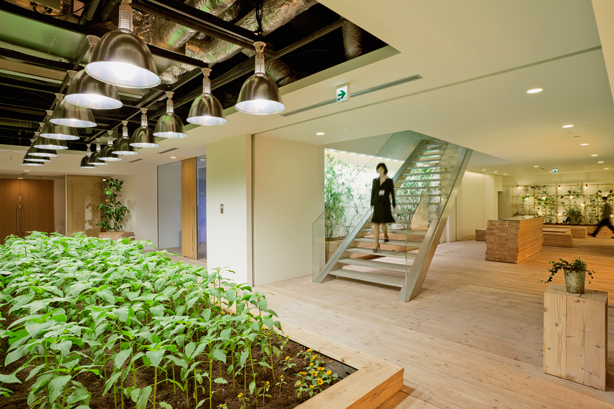 The subterranean Pasona farm occupies part of the Japanese recruitment company’s corporate headquarters in downtown Tokyo. A smart system monitors and controls humidity, temperature, breeze, artificial light, and an automatic irrigation system. 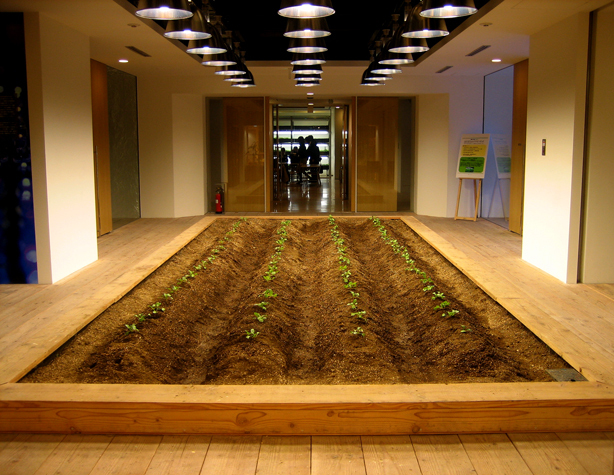 Crops growing inside the office at Pasona. Via Pasona. 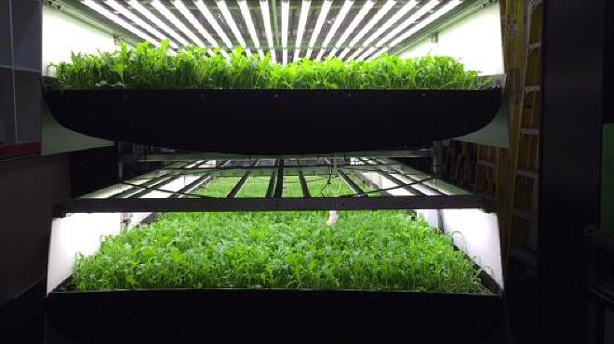 Hydroponic vegetables growing underground at Pasona headquarters. Via Pasona. 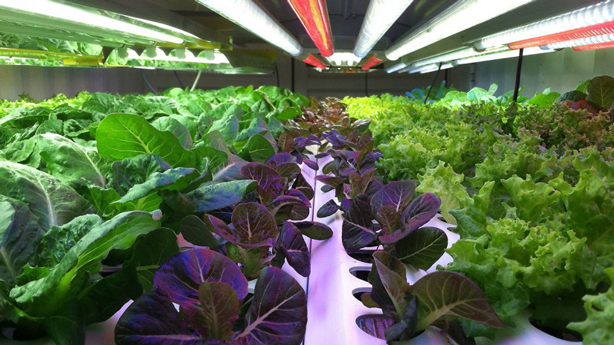 In lieu of sunlight, LEDs, metal halide lamps, and high-pressure sodium vapor lamps provide light for the underground hydroponic (grown in water without soil) and partly soil-based farming of fruits and vegetables including tomatoes, lettuces, and strawberries, flowers and herbs, and a terraced rice paddy. 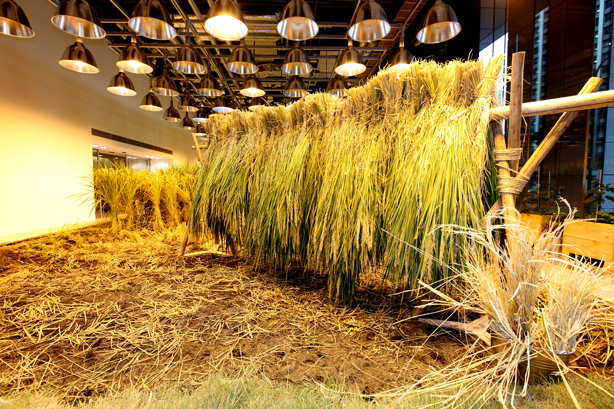 Rice growing underground at Pasona. Via Pasona. 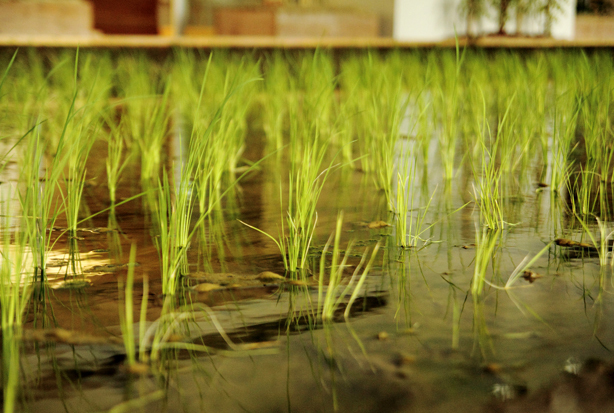 Indoor rice paddies growing at Pasona. Via Pasona. Rice growing at Pasona. Via Pasona. Grown indoors in a closed agricultural system, the Pasona farm like others of its kind, is bacteria-free and pest-free meaning it doesn’t require pesticides. 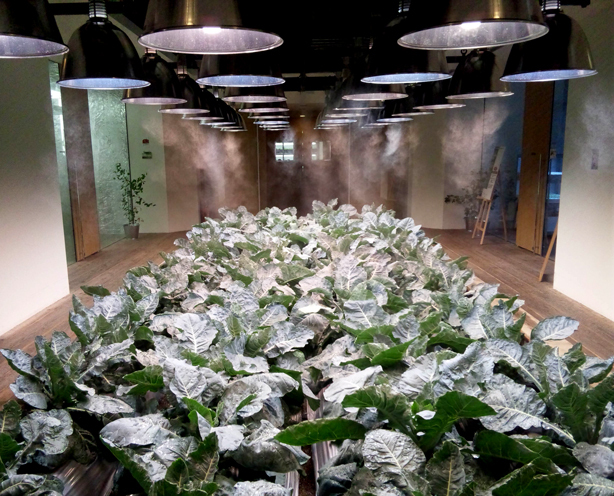 The 100% organic crops grown in these indoor farms are fed with pesticide-free nutrient mists or a combination of carbon dioxide and fertilizer. 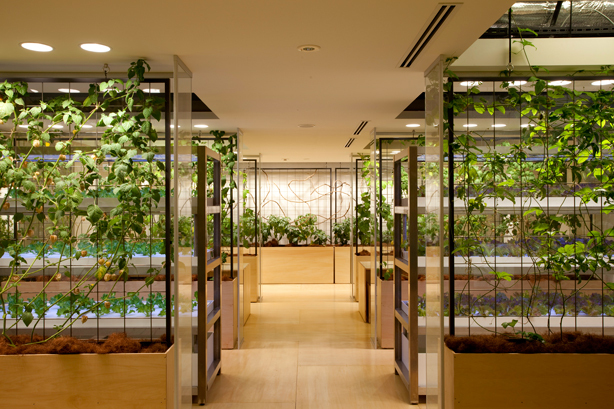 Vegetables growing indoors at Pasona. Via Pasona. What makes Pasona O2 unique is that the company’s employees, with the help of an agricultural specialist, maintain and harvest everything. Pasona employee harvesting vegetables. Via Pasona. And stuff is growing throughout the building, not just in the underground farm. 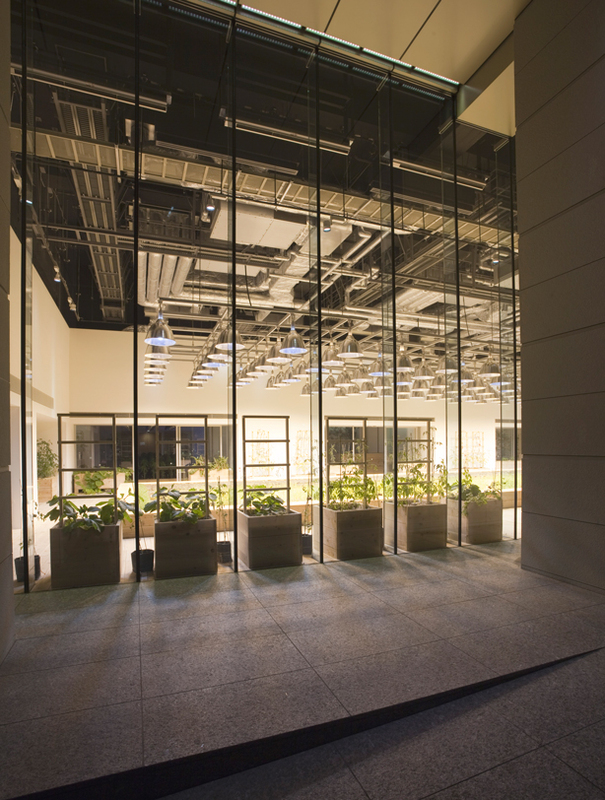 With its integrated farming facilities, Pasona’s green space totals over 43,000 square feet inclusive of a double skinned green facade and a rooftop garden. 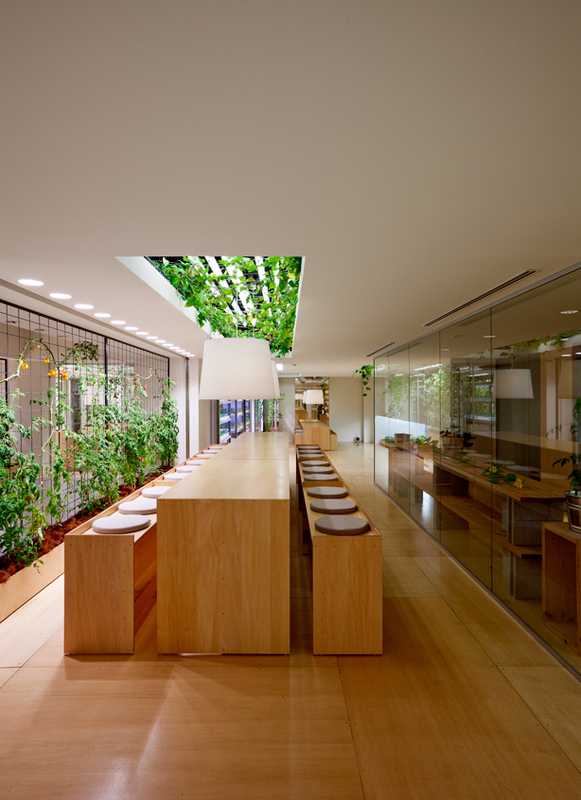 Pasona Tokyo headquarters urban farm and green facade. Via Pasona. The farm cultivates 200 species of fruits, vegetables and rice which are harvested, prepared, then served in the building’s cafeterias. The food travels only a few floors so it’s remarkably fresh consumed right after harvest with minimal spoilage and little waste. Fresh from the vine at Pasona. Via Pasona. 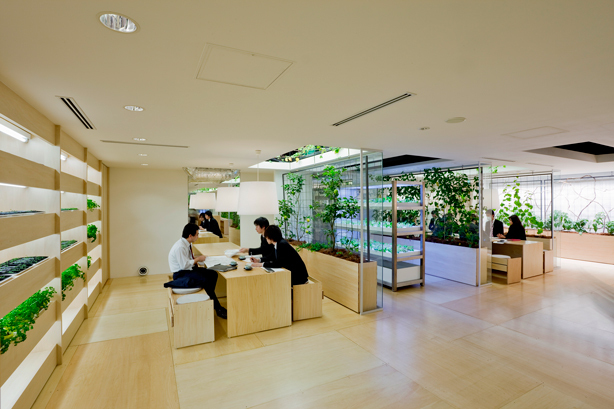 Farmers and office workers alike share a common space at Pasona, where edible and ornamental plants grow throughout the building. Conference room at Pasona. Via Pasona. 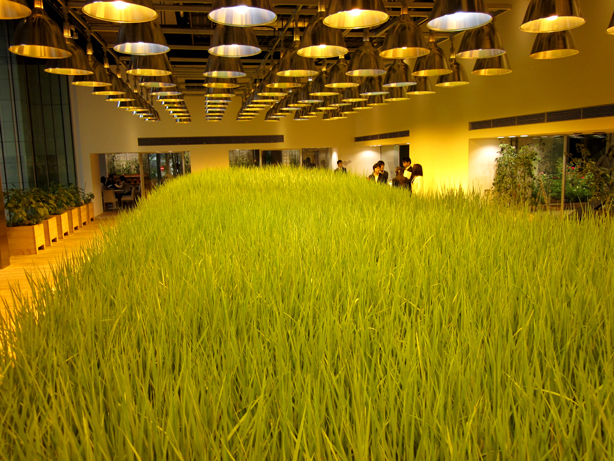 The main lobby features a rice paddy and a broccoli field visible from the street. 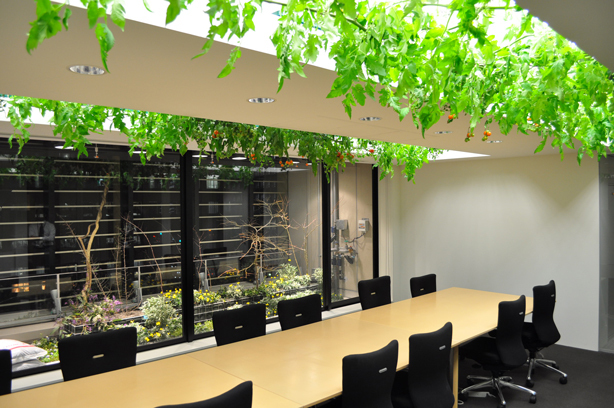 Tomato vines hang above conference tables, lemon and passion fruit trees function as meeting space partitions, lettuces grow inside seminar rooms and bean sprouts under benches. Pasona’s indoor urban farm reception visible from street. Via Pasona. 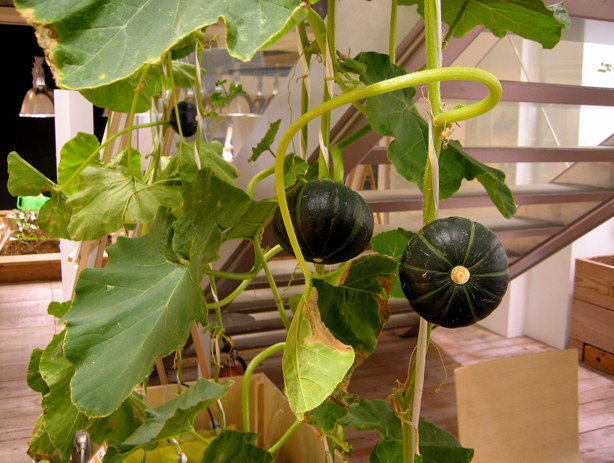 Food grows in the cafeteria. Via Pasona. Farm to cafeteria. Via Pasona. Pasona employees know right where their food comes from. Via Pasona. Balconies on the building’s double skinned exterior facade contain seasonal flowers and orange trees which also benefit from some natural light. 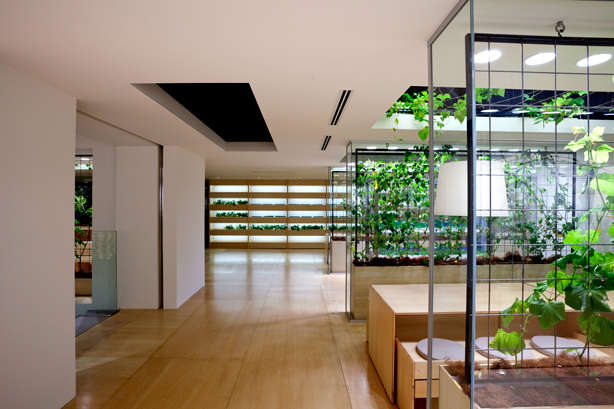 Pasona Tokyo headquarters balconies overflowing with plants. Via Pasona. 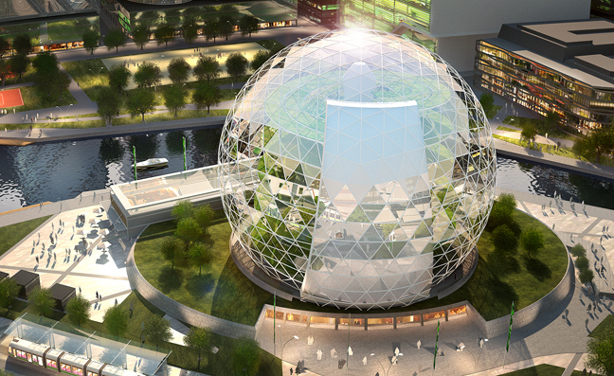 Pasona O2 was designed by Konodesigns architects working with Plantagon International, a cutting edge company that designs resilient food growing systems which minimize the need for land, water, energy and pesticides. Plantagon Greenhouse in Sweden. Via Plantagon. 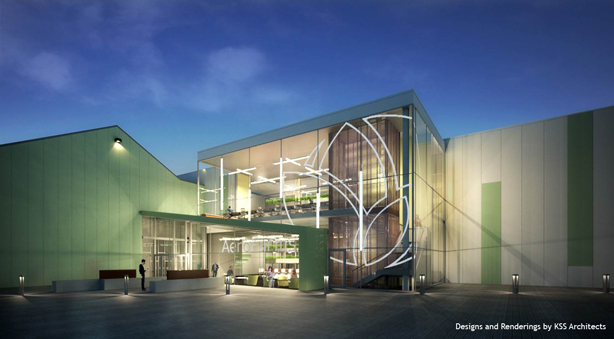 Later this year Plantagon will begin construction of a 197 foot high indoor urban vertical greenhouse in Linköping, Sweden. 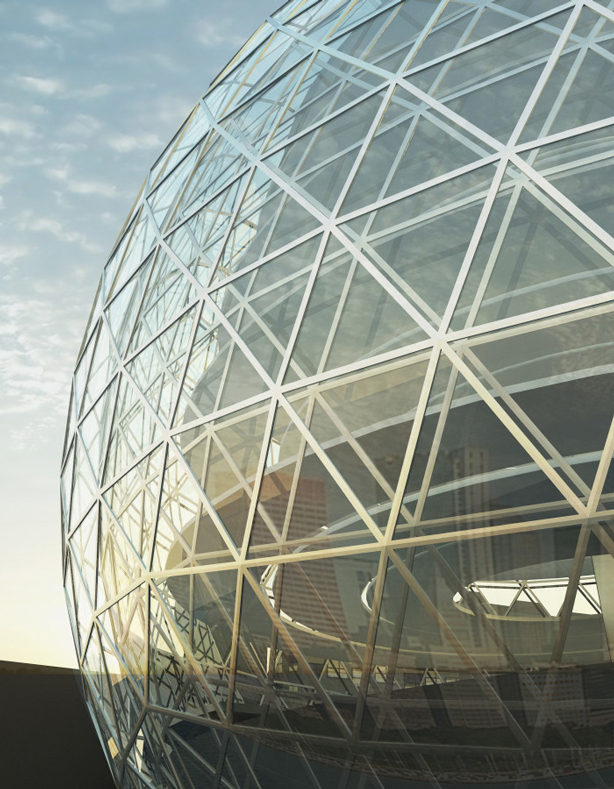 The first of its kind anywhere in the world, the Plantagon Greenhouse will serve as an international model of the company and its partners’ symbiotic systems and technologies which will enable large cities around the world to use urban agriculture for much of their food production. The outer part of the Linköping building will be reserved for urban farming while the inner part will be a 16-story office building containing offices. “Behind the greenhouse facade, it’s a regular office building that can be used in many different ways, like a hotel, office or school, but there is an ambition to give the whole area a clean-tech profile. The Plantagon Greenhouse will be a model for the whole world to demonstrate that you can actually grow food efficiently and safely in a large city,” said Owe Pettersson, COO of Plantagon. Plantagon’s helix for transporting crops. Via Plantagon. 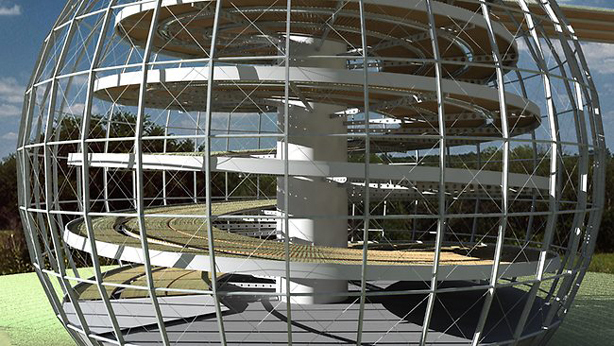 Plantagon has patented a moving helix that transports plants from point A (planting) to point B (harvest). 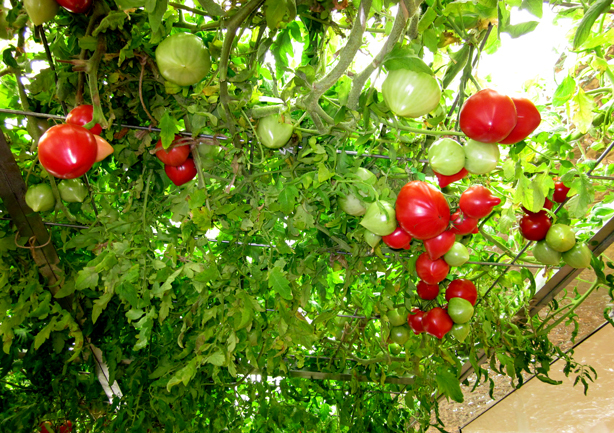 Each greenhouse will create or be a vital part of a symbiotic system of air, water, CO2, heat, waste, and energy. The Linköping greenhouse will connect directly to the Tekniska Verkens district’s heating and biogas plants. 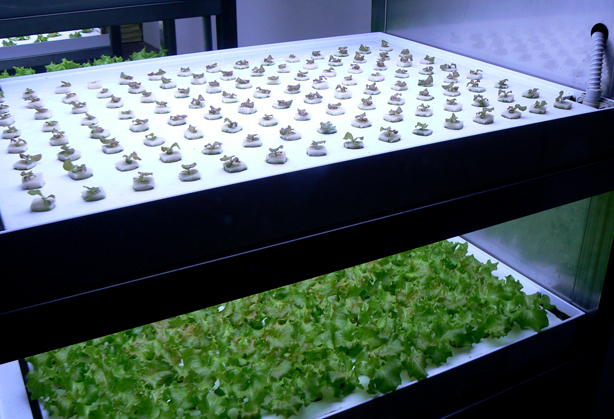 The company is also developing smaller community models for rooftops and even smaller scale family sized growing units. 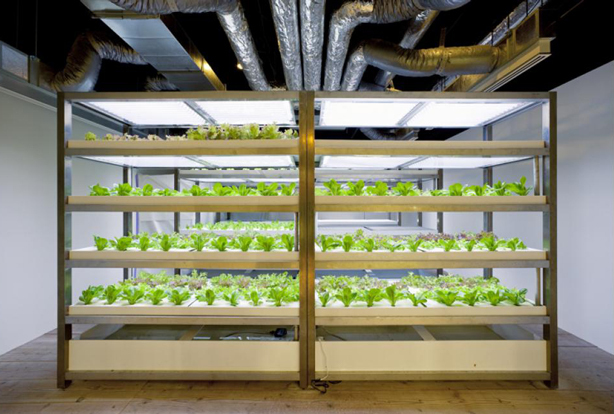 AeroFarms headquarters and urban aeroponic farm, Newark, New Jersey. Via AeroFarms.